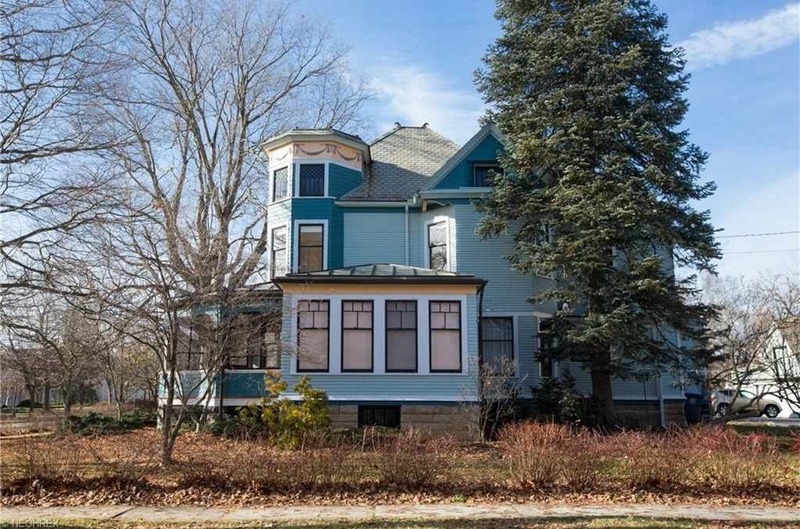 This elegant example of authentic Victorian architecture is located one block from the center of town.......you may walk and ride your bike everywhere!. Huge windows create streams of natural light throughout. 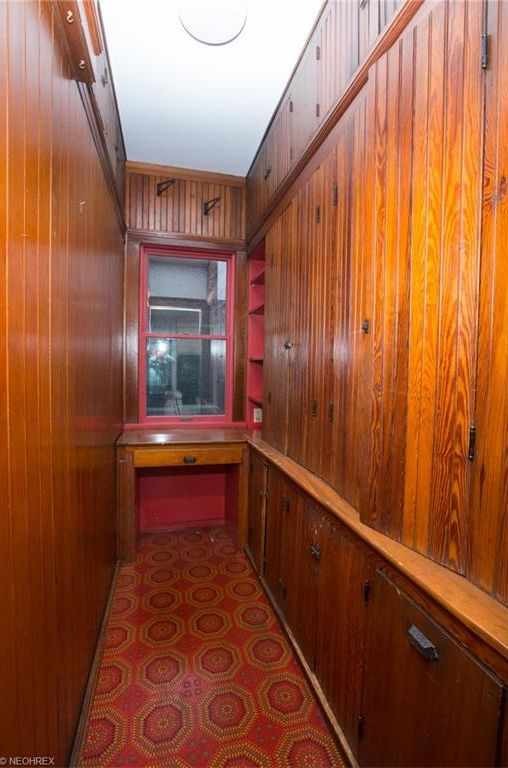 Gorgeous Victorian woodwork accents the pocket doors, original fireplaces, window seats, and many built-ins including the china cabinet with its prototype electric lighting. The slate roof is in great condition as well as the newer copper roof on the porch. 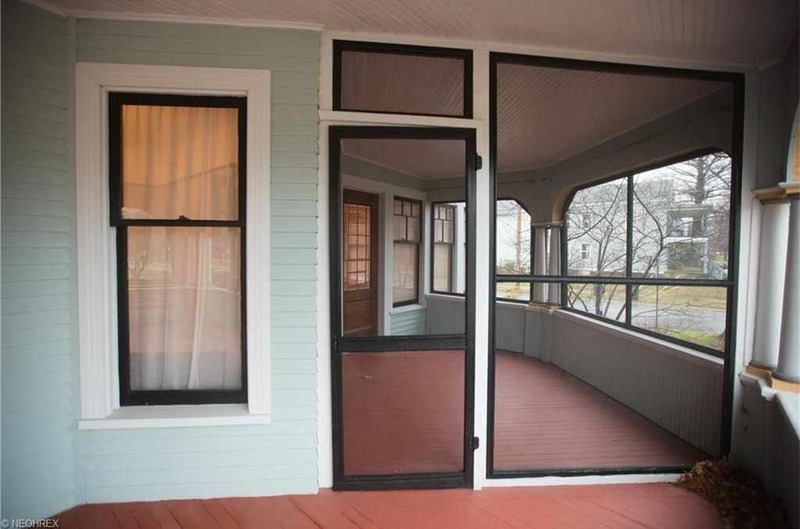 A lovely sunroom has a wall of built-in storage, window seats and its own heating zone! 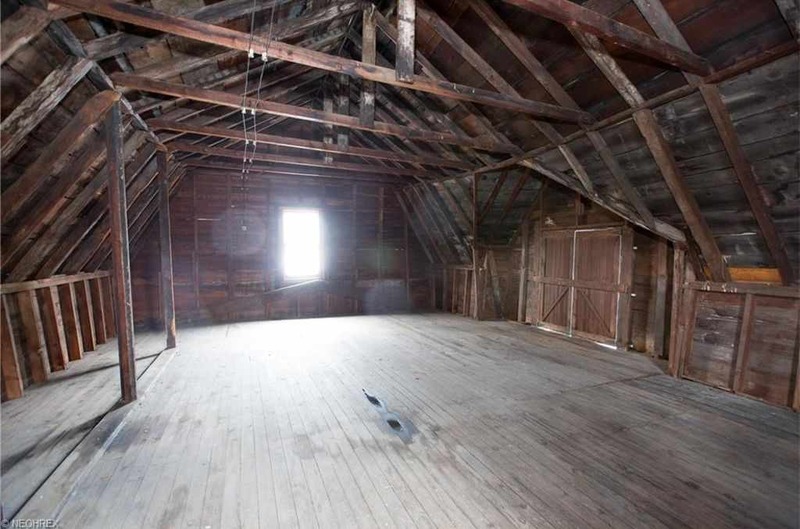 The full attic has space for additional bedrooms/office if needed. All stained glass windows (Beautiful!) 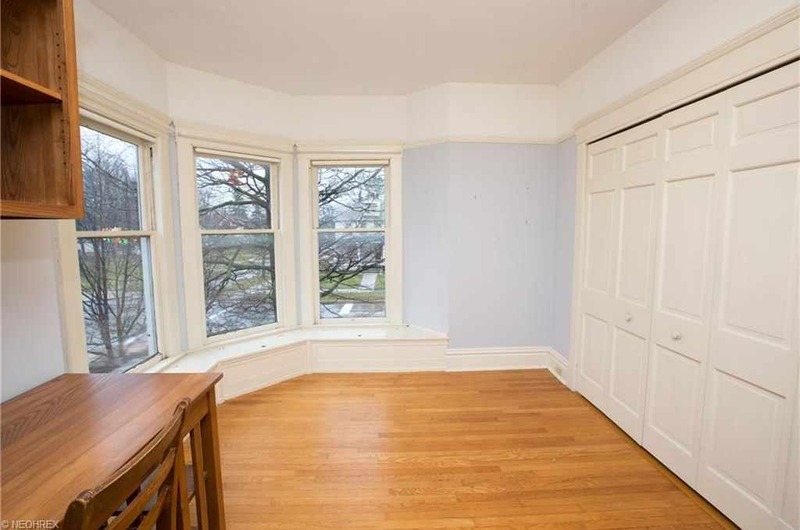 remain with the exception of a small kitchen window. 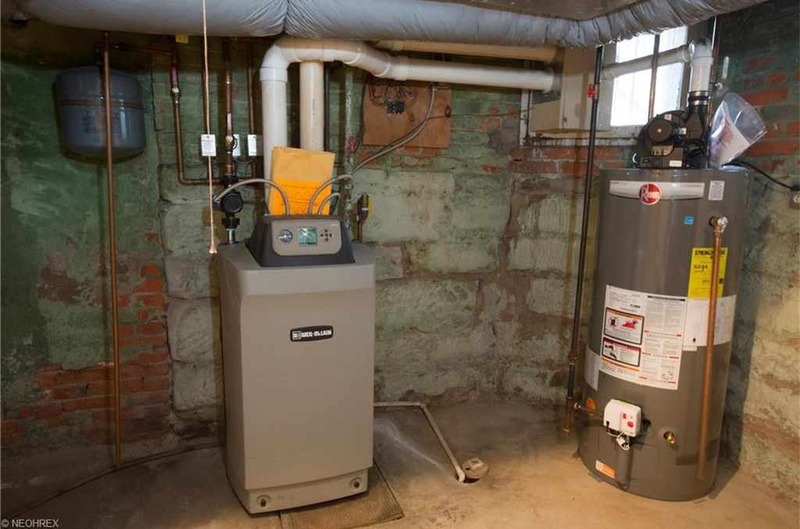 The newer (2012) 3 zone heating system, upstairs, downstairs and the sunroom, make it possible to use those pocket doors to close off and heat sections of the house as needed. Great control of utilities! 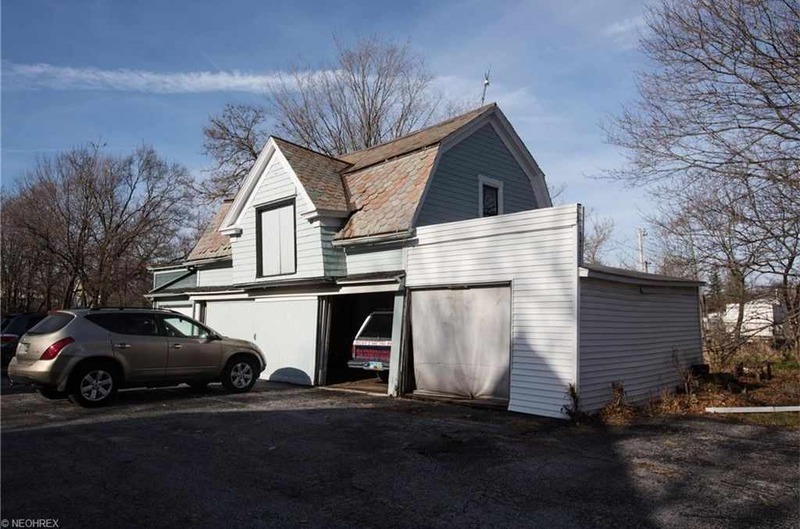 The three car garage with studio/apartment space above generates many possibilities! A large garden area behind the garage has ample space for all your favorite posies and veggies! 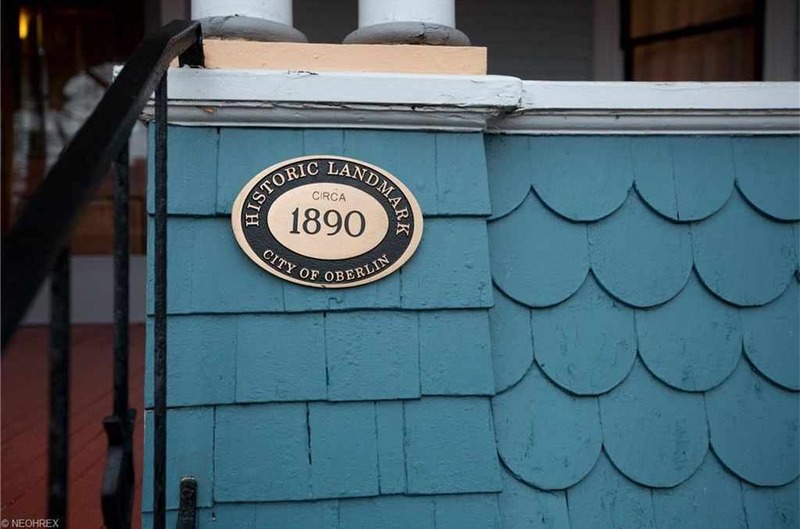 And remember, if you have youngsters and they graduate from Oberlin High School (4 years), they may qualify for tuition help from Oberlin College......a great opportunity in this award winning town! But most of all, if you appreciate fine architecture, especially "The Victorian Painted Ladies", don't miss this! Almost sure this is a George F. Barber home. Ditto…my thoughts as well. 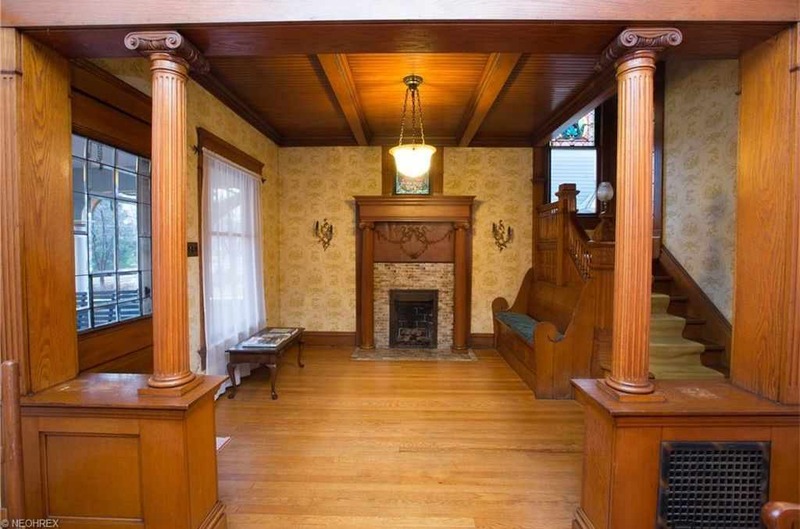 The lavish entry drama, the corner mantel, the layout, the art glass windows. 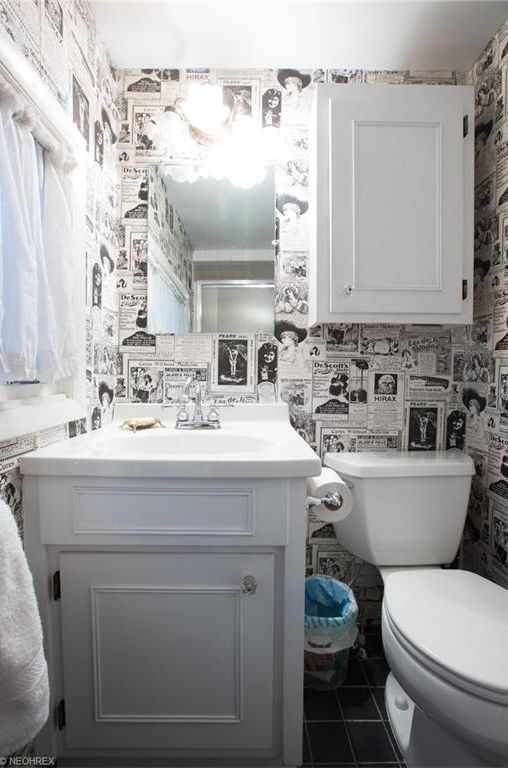 If it were mine, I’d begin by changing the newel post lamp shade to something fancier. 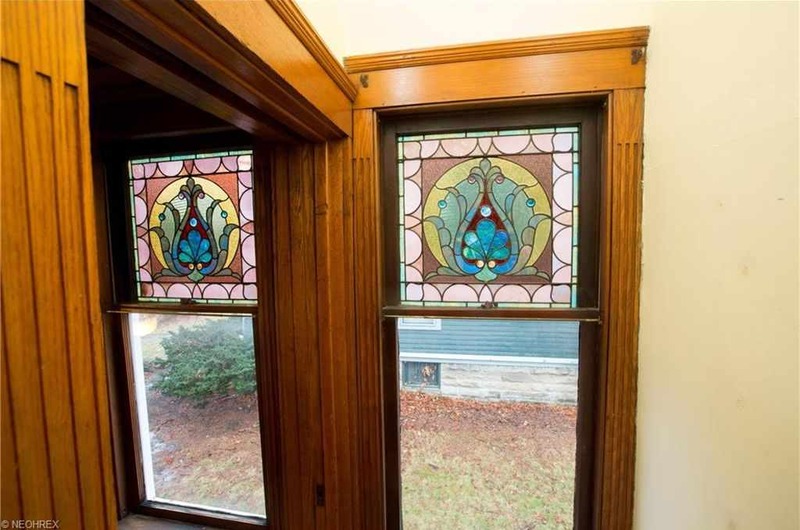 That small stained glass window that is placed between chimney vents above the mantel is another popular George F. Barber design element. If Chris gets a chance to add his opinion I expect he will concur. 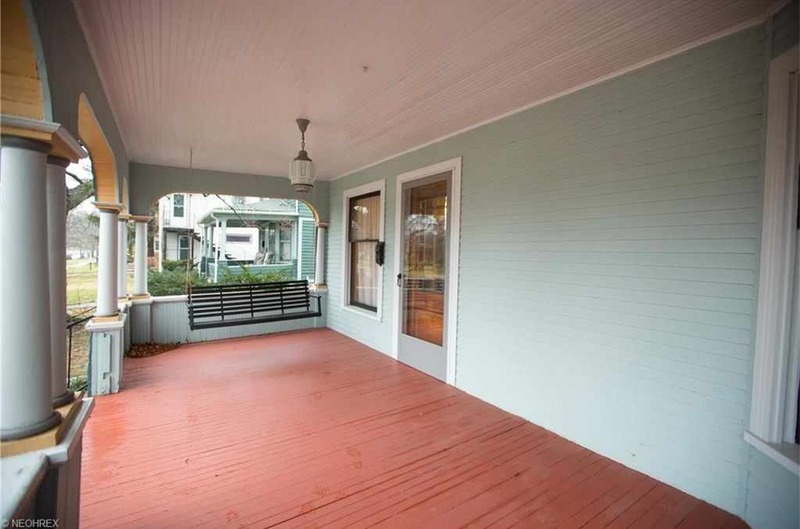 Lovely home overall as Barber designed homes usually are if they have not been altered too extensively. Yeah, I am 97.83215% sure this is a Barber designed home. I just wish I could see the full front elevation to be sure. The interior, as John has mentioned, is spot on! 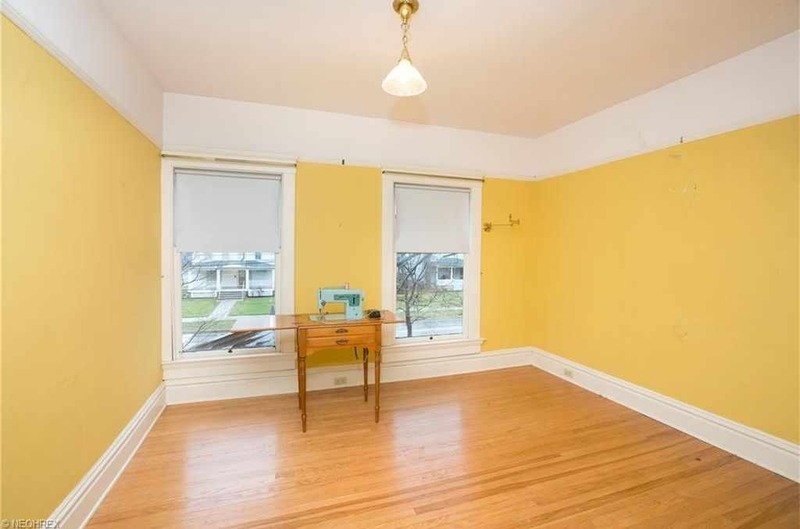 I see an upstairs bedroom appears to have one original non electrified gas light wall fixture left and three others including the newel post light that have been been converted..
My only issue with this one is the side porch which has a “tacked on’ look and detracts from the overall design. This did have gas lighting and some more period lighting is called for in a couple of the rooms. I’d like to see that carriage house properly restored with those additions gone. Lovely old home which appears to be well-maintained. With some backdating, this place could be spectacular. Is it just me or an i noticing a pattern here. Almost all the homes on this site are located in Iowa, Ohio, The Carolinas, Kentucky and Kansas. Where are all the amazing homes in inland Northern California? That’s where i’m looking to relocate 😉 There has to be some wonderful Victorian farmhouse type homes up there. It’s where all the hippies in the 60’s went to get away from what SF had become. PS. Victorians in northern Arizona would be appreciated as well. Another place i’ve considered relocating to. Look in Prescott, AZ, the old territorial capital. I visited there a number of years ago and was very surprised to see so many late 19th and early 20th century homes remaining. As for northern California, you’ll have better luck looking in the Eureka-Arcata area than in the SF Bay area or posh Sonoma County. 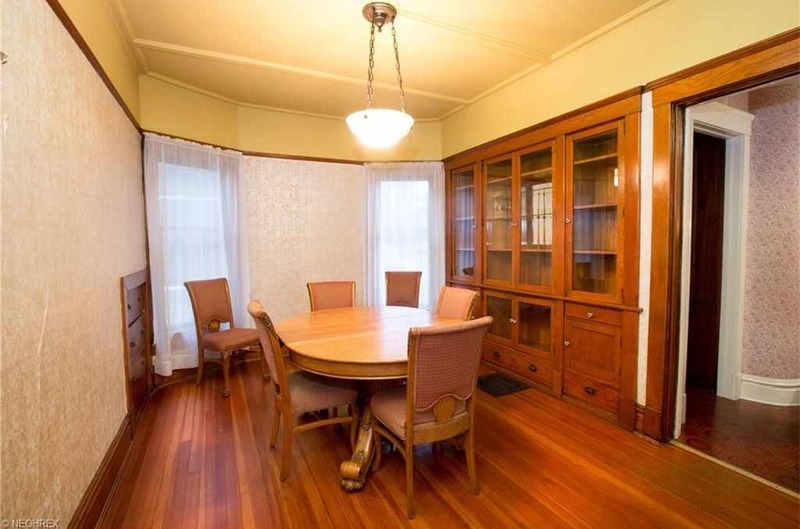 You can find the occasional old house for sale in Petaluma, but you’ll need a million or more to buy it. Forget buying in San Francisco or much of Oakland-Berkeley unless you’re a millionaire. (Asian investors have pushed up prices in the larger West Coast cities especially Seattle) Those folks who can easily afford a million dollar property often do their own search or hire someone to do it for them. States like Nevada or Wyoming were sparsely populated (Wyoming still is) so few old houses come to market because there aren’t many to begin with. Same for Montana and the Dakotas. I think Kelly does a remarkable job of finding diverse styles, price levels, and geographical distribution for the houses featured on the blog. The American Midwest was heavily populated over a century ago and thus bargains exist in the region’s smaller towns there which have lost population as the Midwest entered the post-industrial era beginning in the 1970’s. I once made an unscheduled stop on the way to Oregon in Yreka, CA (yes folks, its spelled that way) and was surprised to see an almost intact late 19th century downtown. I don’t know much about Redding, Mt. Shasta, or Weed. The scenery around that area and the Siskiyou Mountains is breathtaking…I once spent over a week camping out there in southern Oregon. Beautiful scenery. Meanwhile, we should return programming back to Oberlin, Ohio and this lovely home. Yreka is a lovely town, capitol of the county, quiet and with decent weather. There remains a Victorian section downtown with decent prices. The story goes that the name came from a torn banner above one of the first food stores that had lost the “B’ from “Bakery.” From the back it said Yreka… true story or not I’m going with it. FWIW, my parents met in Oberlin. My mother was a music major my father going to Naval officers training school. Here I am! You might try Redlands, California. Beautiful older city with fine examples of Victorian, Arts & Crafts, Spainish Revival and Mid Century Homes. Maybe a little warm in August & September but overall a year round type weather and you can venture to nearby Lake Arrowhead and Big Bear for that desire of snow you made need in the winter. You can also drive 40 minutes to Palm Springs or go to the Ocean Communities along the Pacific. Redlands is a centrally located city in Southern California with a lot to offer. Check it out! Thanks, Dave. I checked out that town but couldn’t find any Victorian homes which were my style on the interior. The few i could find had been grossly updated on the inside, and had price tags over 1/4 of a million dollars. Yikes! You might look in Carson City and Reno, Nevada. There are some lovely old houses there – somewhat surprisingly so. No pattern whatsoever. Last week it was “Not enough houses in Kentucky!” this week it’s “Too many houses in Kentucky!” or insert whatever state/price/location/style. Making everyone happy is impossible. All the amazing homes in *insert whatever state* are either on the site, not for sale or are only amazing on the outside. I wish I could post every single persons dream house but it’s just an impossible task and I’ll go insane trying to achieve it. Sorry. No worries, Kelly. I’ve got my eye on 4 gorgeous homes in the mentioned states which are not listed here. Oh well. I’m thankful for anything you list. Like i said, no worries. I can only imagine that running a site like this would consume pretty much all of your time! Kelly — I think you provide a great variety and the key is — neither you nor anyone else providing a lot of content on social media is going to please everyone! We’re all so different. 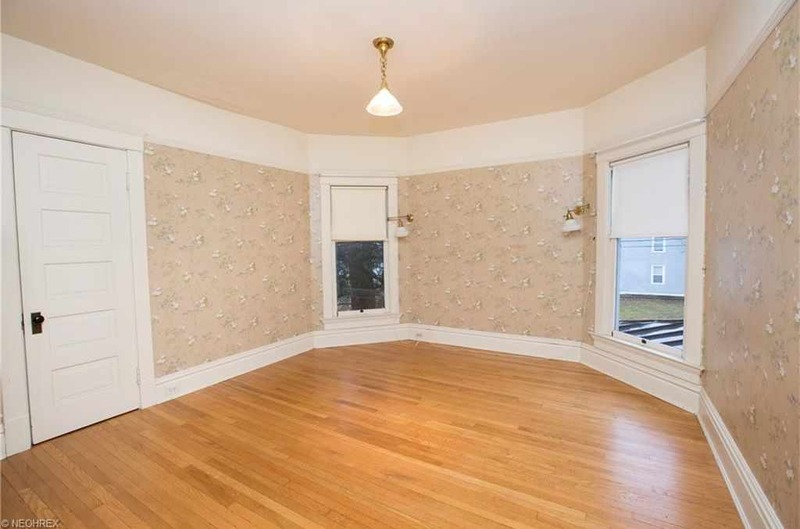 For example, I think this site is dominated by Victorian house lovers, the more gingerbread the better. I enjoy that in moderation but few of them excite me. But, you provide plenty of the Arts and Crafts, Southern vernacular, and Colonial Revival houses I’m partial to, so I’ve never given much thought to what states are over- or under-represented. Thanks for all you do! 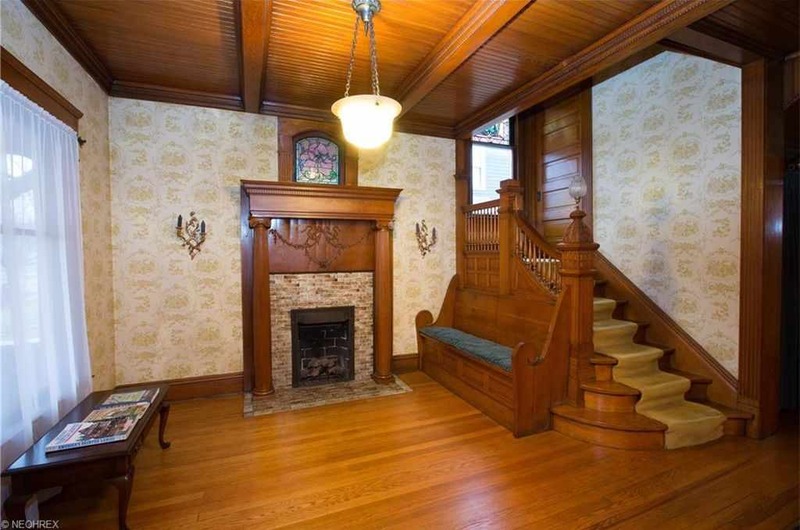 What’s funny is that I admire Victorian era homes but prefer other periods/era homes. lol 🙂 Glad what I do is appreciated! We know you are not a realty service, Kelly, and I love seeing houses that are totally out of my area where I could ever live–hence the name Old House “Dreams”! Would the tower have originally had a roof on it? It looks so strange being flat! Many Queen Anne style houses did have conical or onion dome roofs but I believe this particular Barber design did have a flat roof. 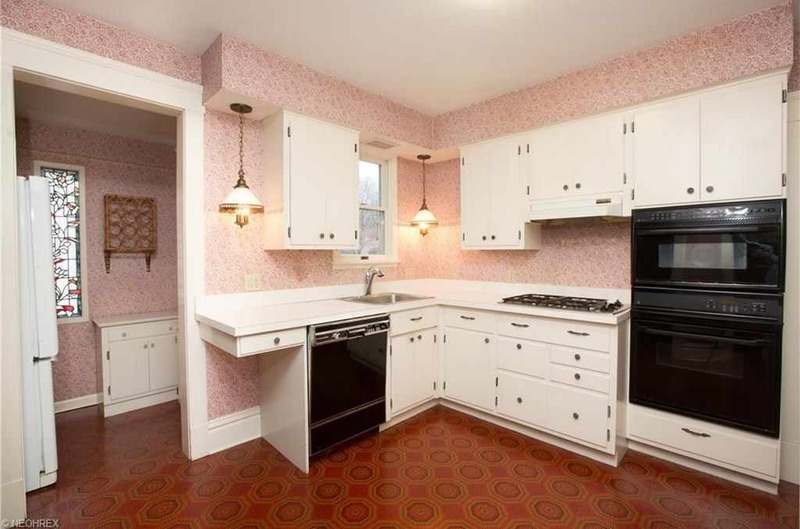 Here’s another example in Indiana of the same design: http://www.oldhousedreams.com/2014/08/25/c-1900-queen-anne-delphi-in-george-f-barber/ and another in New York state: (scroll down to see the original George F. Barber ad illustration) http://www.oldhousedreams.com/2012/01/30/1890-victorian-troy-ny-george-f-barber-299900/ Despite these flat examples, the Queen Anne style norm was to have a conical or sloped tower roof rather than flat. Countless steep tower roofs were flat-topped by later roofers in the 20th century. 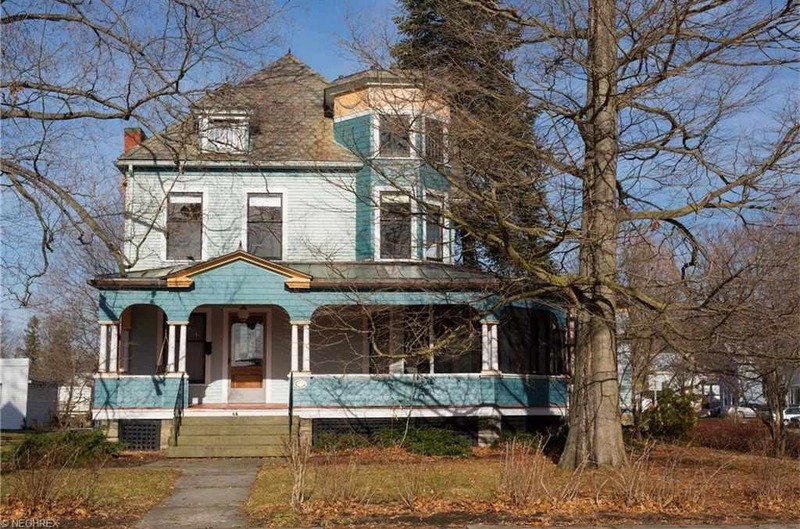 For Chris, who wanted to see the “full front elevation”, please visit the Lorain County Auditor’s Site and search for ’64 Lorain’ to see a photo of the front of the house without all the overgrowth [and other interesting information about the house]. Back on the market at a slightly reduced price but WAY better photos. Posted 2015, moved to front page. In early 1943 a young sailor from Clevelnad was sent back to Oberlin College to attend officer’s training at a make shift campus set up by the military. He met a beautiful young lady there who was studying music at the college. They dated until he was scheduled to be sent back to the Pacific. She followed him to Oxnard CA where they were married and had a few weeks before he would be sent overseas to face the very real possibility of getting killed in war. In October of 1945 I showed up. My father returned from the war six weeks later. Oops! 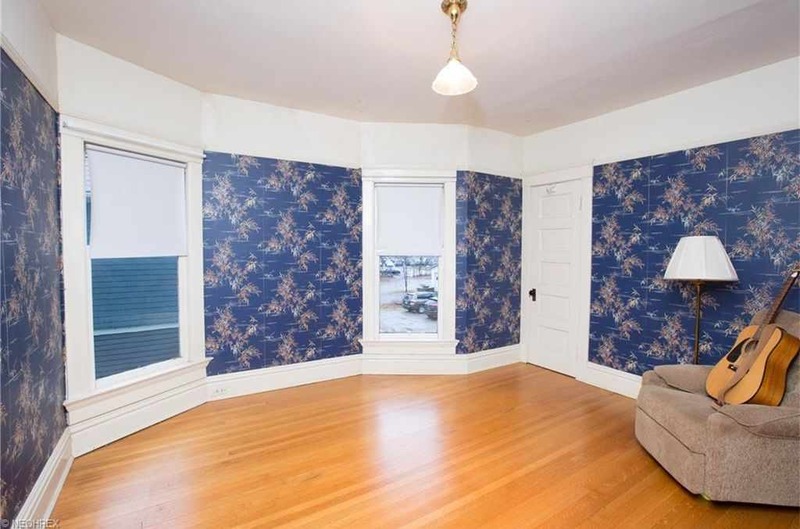 I see I posted on this house earlier when it was previously for sale. The furniture is gone now. I wonder why it is on the market again? It was taken off and put back on, it didn’t sell before. Dear Kelly: I wanted to express my appreciation for this site. I love looking at the wonderful homes from the various states. The site allows me to dream about living in other parts of the country. The comments are often interesting and I’ve expanded my knowledge on design. My Partner and I just sold a large Bed and Breakfast located in Philadelphia. 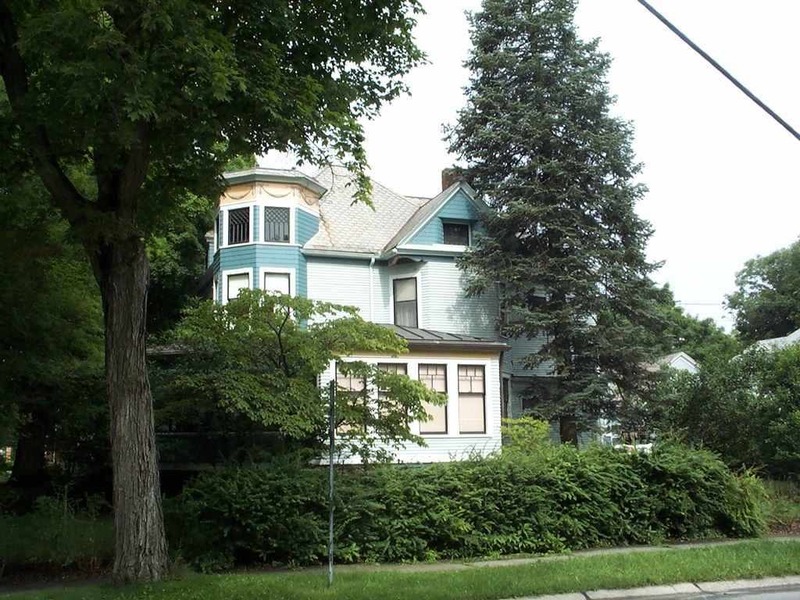 It was one of 6 properties that we had restored over the past 25 years.We’ve begun renovation on a 1900 Victorian that has never been changed. We feel lucky to be able to save this property. It hasn’t been lived in for 30 years and had 3 feet of water in the basement but was still salvageable. I discovered the site by accident shortly before Thanksgiving and I’ve become addicted. It’s so great to be in the company of other old house enthusiasts. Thank you for all your hard work and your willingness to share your insights. Your kindness and love of Old Houses is a joy. 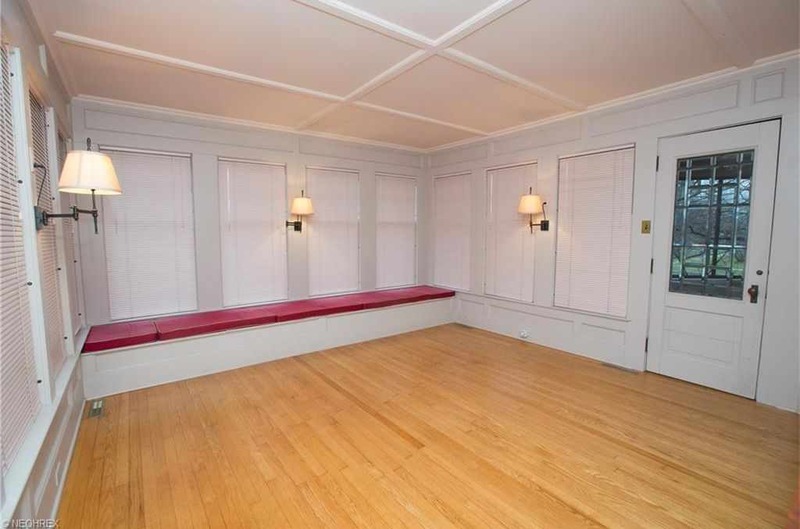 This house in Oberlin is wonderful! Thank you Donald, I appreciate that! Yep, Kelly, we all love this site and you! I look forward to this page in my emails every single day. 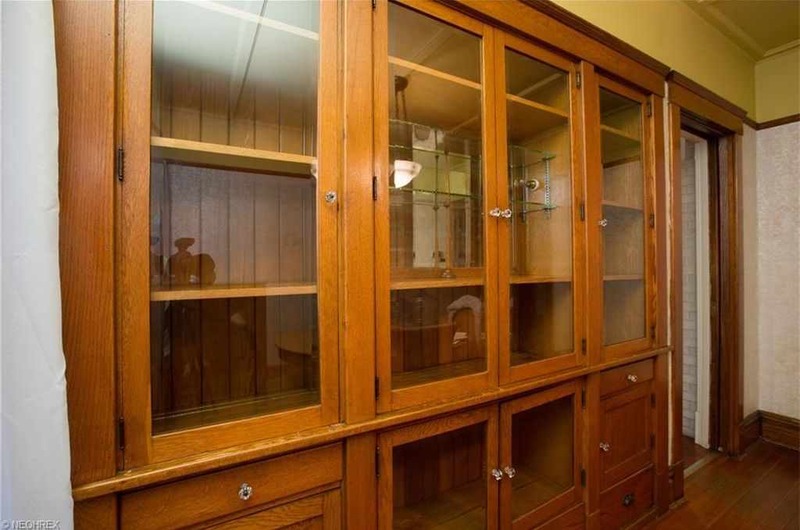 Do you like us here to send you cool old house links we find? It’s hard to tell, but it looks as though the original ridge cap is still on the roof. A rarity indeed! This is my home town. I miss it a lot. I grew up out in the country and would ride my bike into town…things have changed over the years since I sold the farm in 1987 and the people who bought it let my childhood home burn down…for insurance purposes …but this town was always one of tolerance and peace…but sadly that changed…I still love my home very much and a more beautiful place doesn’t exsist on the planet. 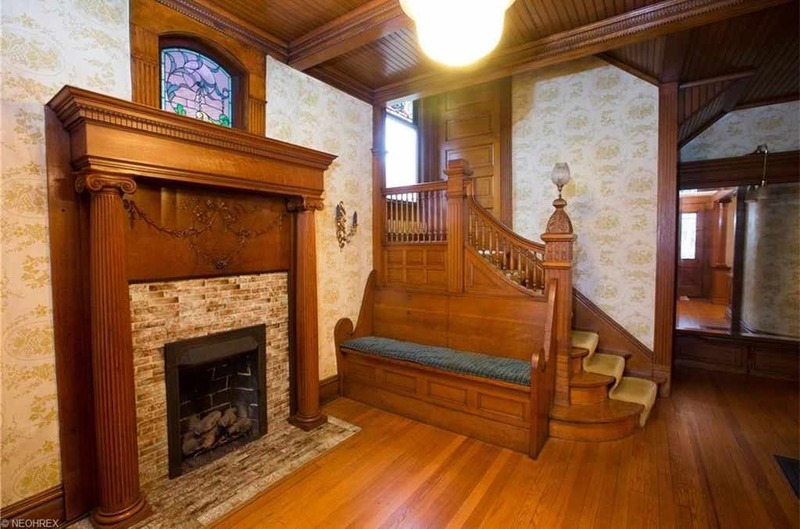 Was it common to have a door on the front staircase the way this one is? It almost looks like that small wall was added to cover up the view of the stairs. 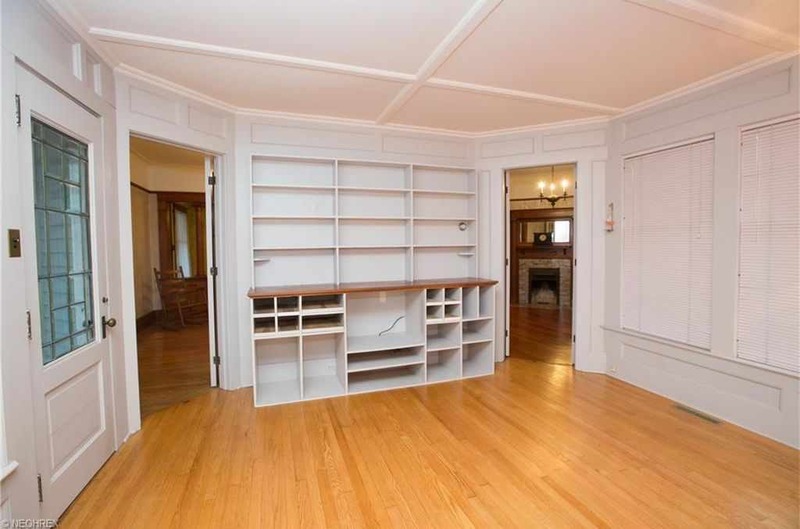 The door on the landing is unusual, but is a great way to keep the first-floor heat from stepping upstairs! Annabelle, you can see the surround of that door in the 4th interior photo. It’s clearly original, and unusual. 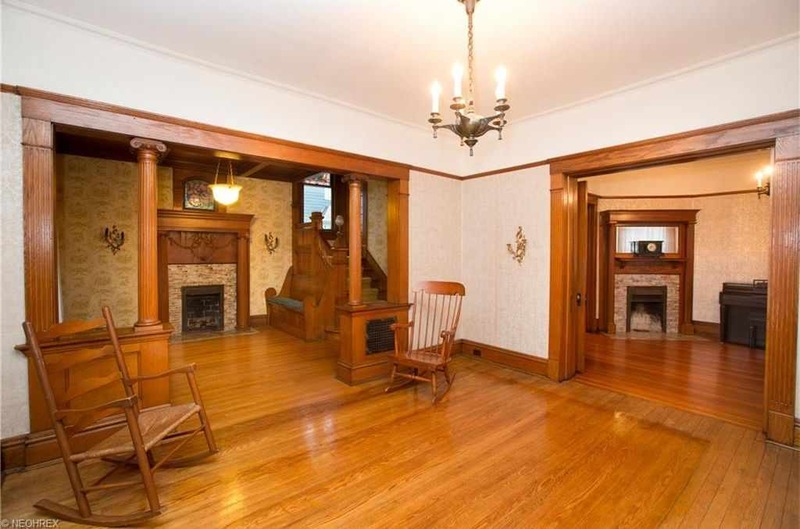 The landing stair doors are rather common in this area of the Midwest, in many different era and styles of homes. I agree it’s to keep warm air from going up the stairs and it works. 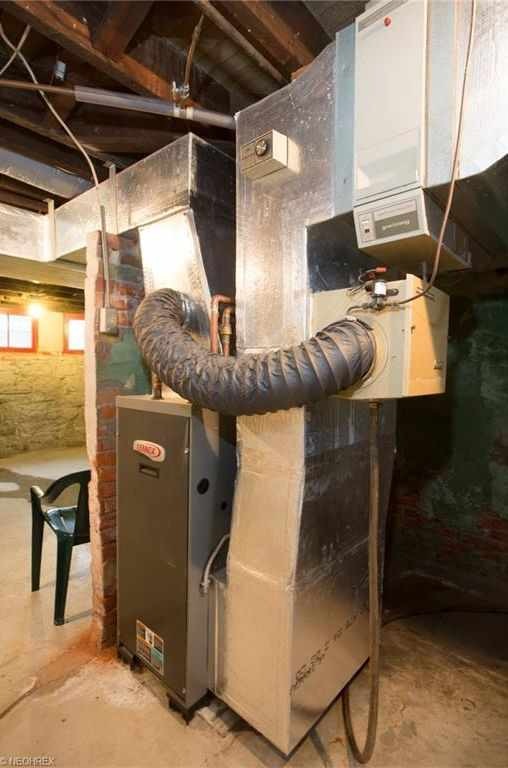 Prior to forced air heat, some homes only heated the main level and the upstairs was kept closed and cold. 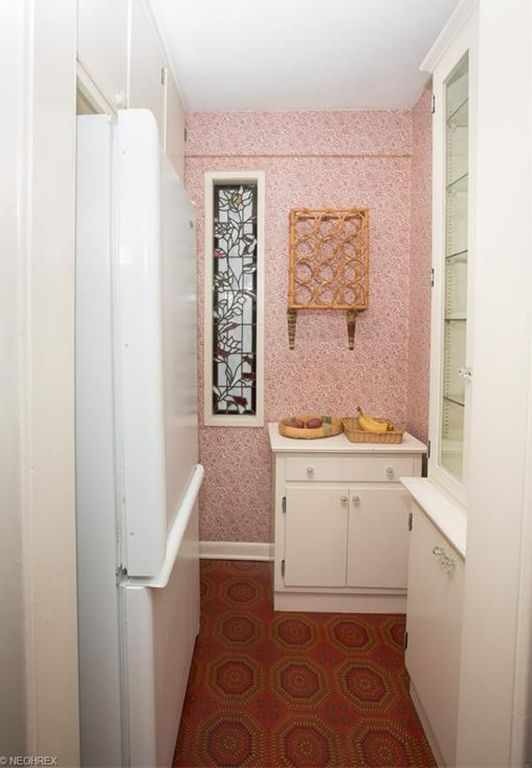 To warm it, you opened in-floor grates and the doors. But only for a short time or the main level was then cold. Since the bedrooms were upstairs, you slept with many blankets (or heated and wrapped bricks) and rushed like mad downstairs in the mornings to dress by the stove. You also didn’t have bathrooms upstairs because the pipes would have frozen. Thanks, Diane, for these explanations; the regional differences are fascinating. While Washington D.C. doesn’t have a Midwestern climate, when my mother’s grandmother moved in my mom was moved to the unheated sleeping porch (year round). She relied on the huge pile of blankets to get through the winter. OOOOH! Lovely! This one is a great find! Lovely, lovely house!! 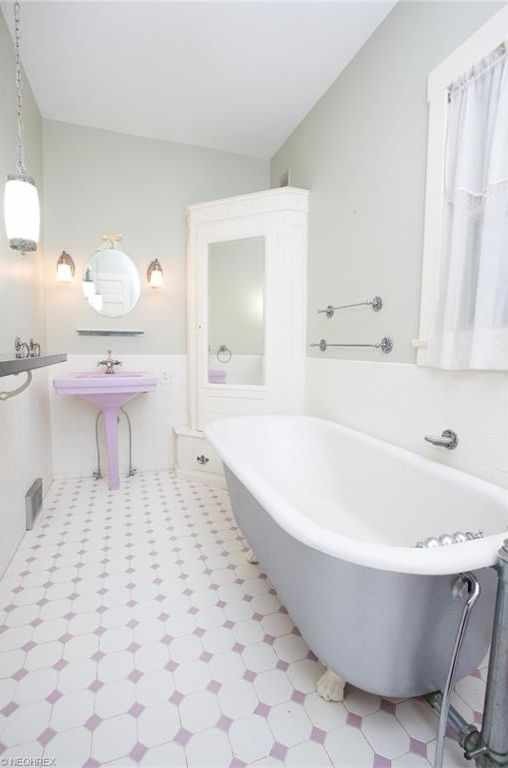 I especially love the pink (or lavender?) sink! Sort of whimsical! I was wondering about the door on the stairway as well. And then the remaining stairs would be kind of like a dark backstair? Interesting. I love this house, though! Kelly, I think the variety that you produce is amazing! I have lived all over the country, and it’s exciting when a place near one of those towns pops up! Thank you for your hard, wonderful work! Kelly, you are the best! Viewing your beautiful selection of homes from throughout the country is the first thing I do each and every morning. I am so grateful for all the hard work you put into developing and maintaining this site. Thank you. 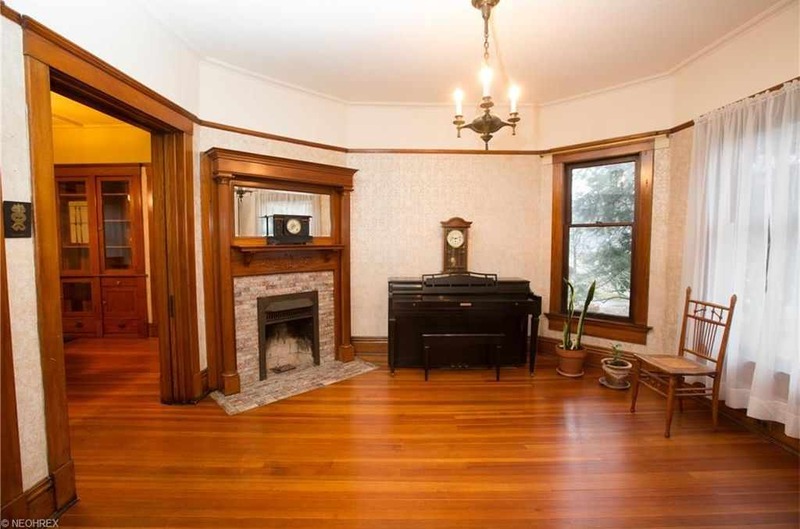 Being a small house all that woodwork would make it feel so warm rich and cozy. 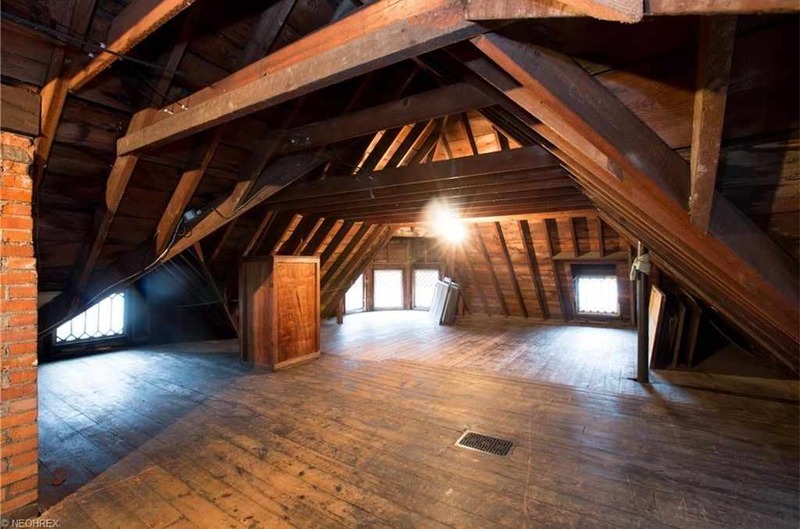 A beautiful house with a lot of nice original features…..but the attic! Wow! 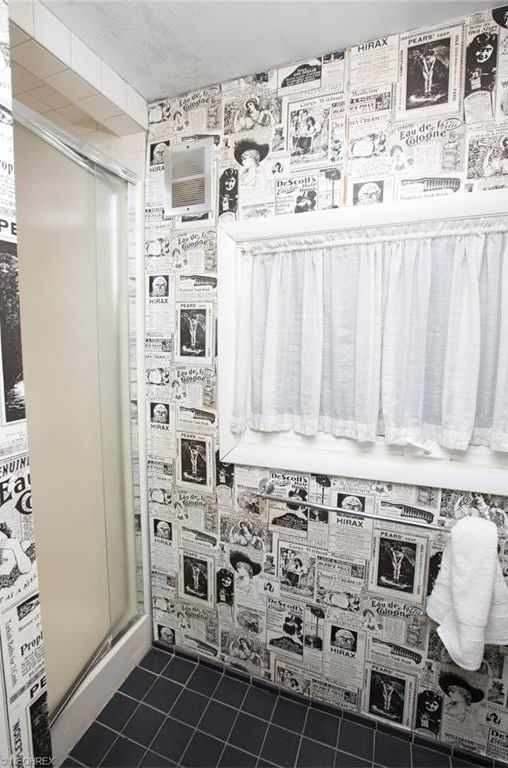 We had that newspaper clipping wallpaper in my house growing up! Oh, my. I love this house and everything about it. Gorgeous; it draws you in.